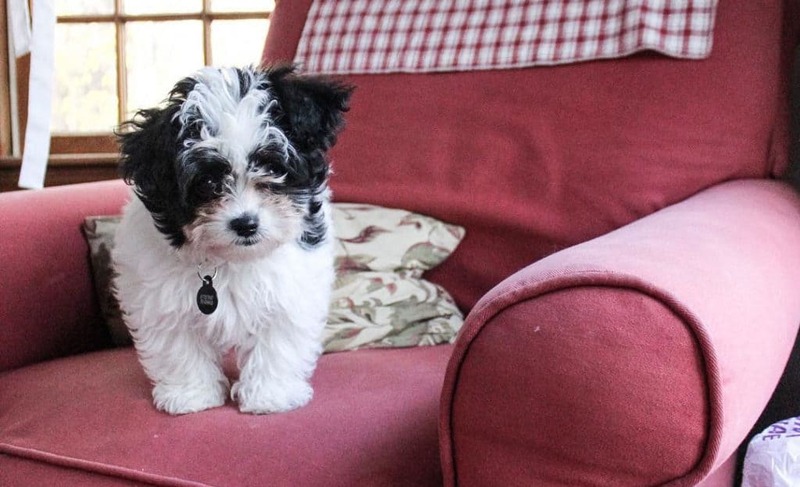 Yorkie Poo is one of the sweetest tiny cross-breeds you could ever own. These pedigree dogs are loved for their intelligent and boisterous personality. They are tiny, cute, very cuddly, and will not leave dog hair on your couch, car, or clothes. Yorkiepoo are designer dogs originally from the United States of America. 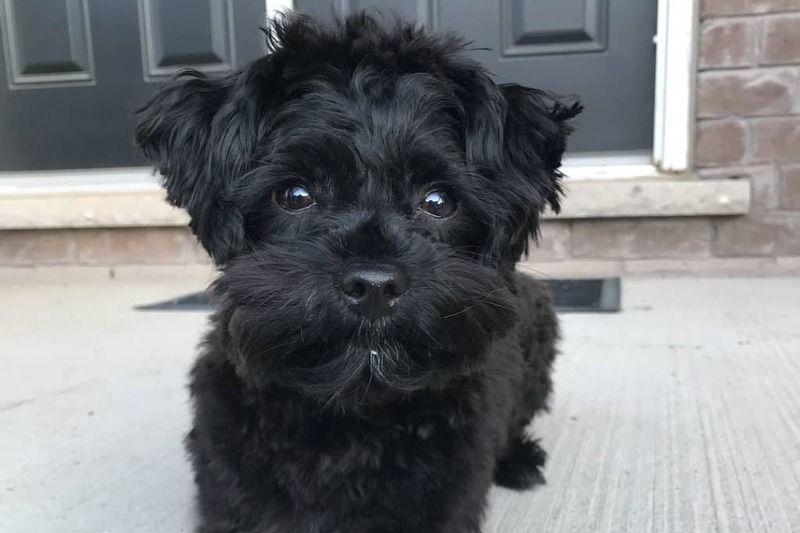 They are a cross-breed between a Yorkshire Terrier and a Poodle; preferably the Toy poodle which gives the dog its characteristic short height. 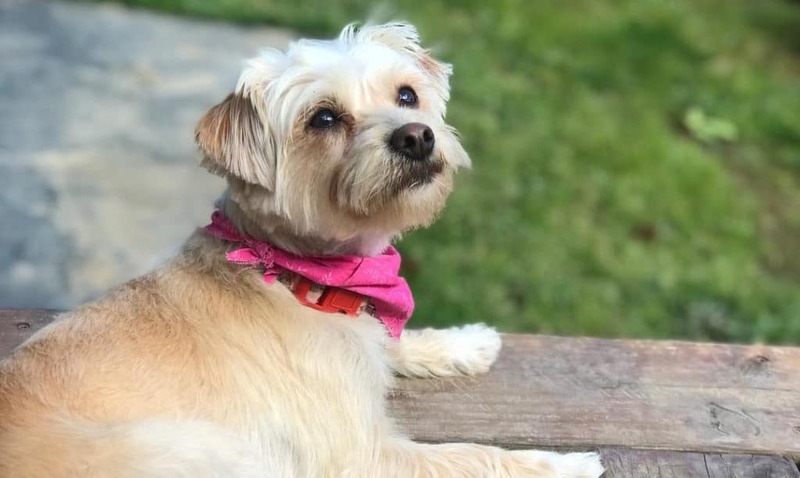 Yorkie poo have been bred for the last 10 years and continue to be one of the preferred designer dogs by people living a single life or with family. They also weigh between 4 pounds to 14 pounds making them very lightweight. This makes them the best travel buddies. He will also adapt perfectly to a spacious family home in the suburbs or a tiny studio apartment in the city. 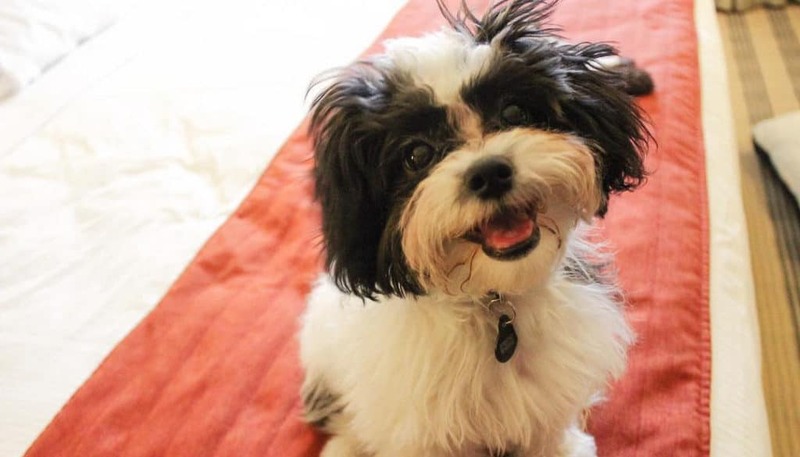 The lifespan of a Yorkie Poo is similar to most designer dogs. He will live for 10 to 15 years provided he is properly cared for. He may even surpass the 15-year mark as long as he is satisfied and happy. 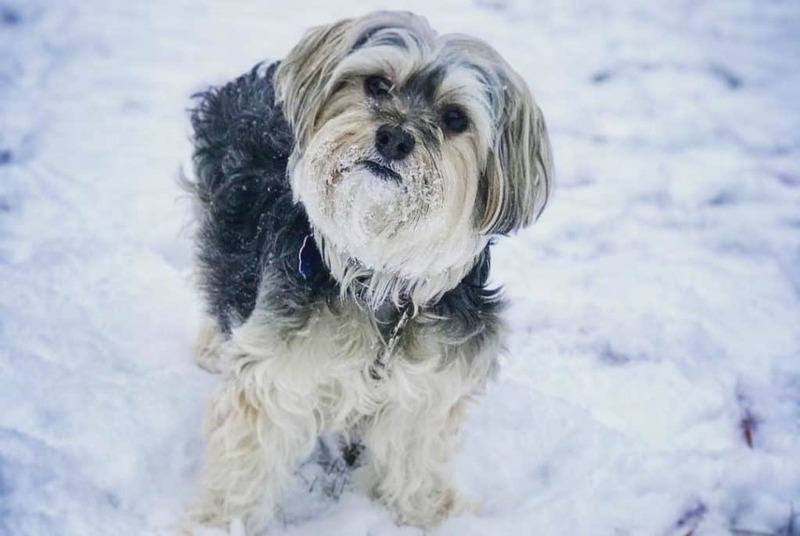 The Yorkiepoo might be little, but he is a really adventurous fellow. He draws this straight from one of his parents, the Yorkshire Terrier, which was bred to hunt rodents in cotton mills. The toy poodle is also known for its intelligence and moderate hunting skills, which adds to the Yoodle’s vibrant persona. Now, because of his inquisitive and intelligent nature, this poodle mix dog needs plenty of opportunities to hone is hunting skills. Otherwise, he will hunt anything for practice, including your shoes, remote, or, God forbid, your car keys. However, it is not that hard to give him plenty of play. Yorkiepoo is a very independent animal, just let him out of the house and he will do the hunting on his own. This should help release some of the pent-up energy inside him. In terms of social skills, Yorkiepoos are very human-friendly. They love being cuddled or finding someone to play with. They are not territorial and will welcome any stranger as long as they are a harmless guest at your home. On the other hand, you have to be careful about leaving this guy with your toddler. Part of his hunting requires biting and he may get a little excited and nip your baby. Yorkie doodle are also not very ideal for children between the age of 5 to 10 years. 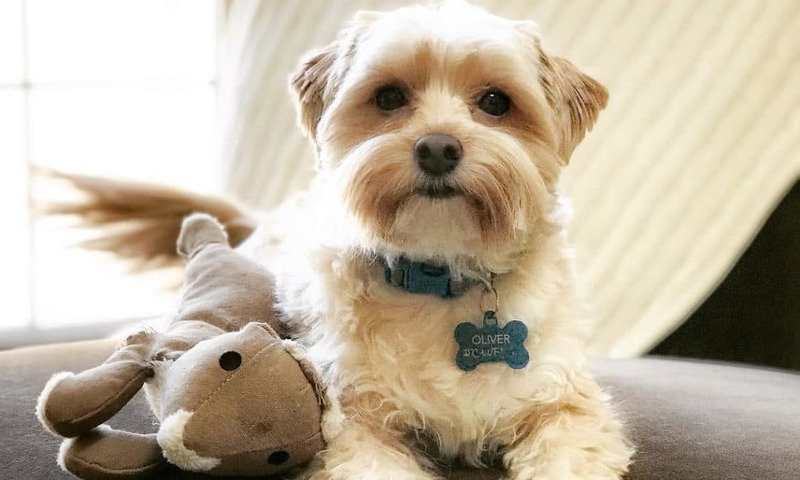 At this age, kids are very adventurous as well which may not be good for the little pooch; he could break bones if accidentally dropped during playtime. Owing to their intelligence, Yorkipoos are very easy to train. They are quick to grasp commands be it in potty training, behaving themselves when visitors are around, or knowing when playtime is over. However, Yorkie doodle are very independent animals which can make them a bit stubborn during training. 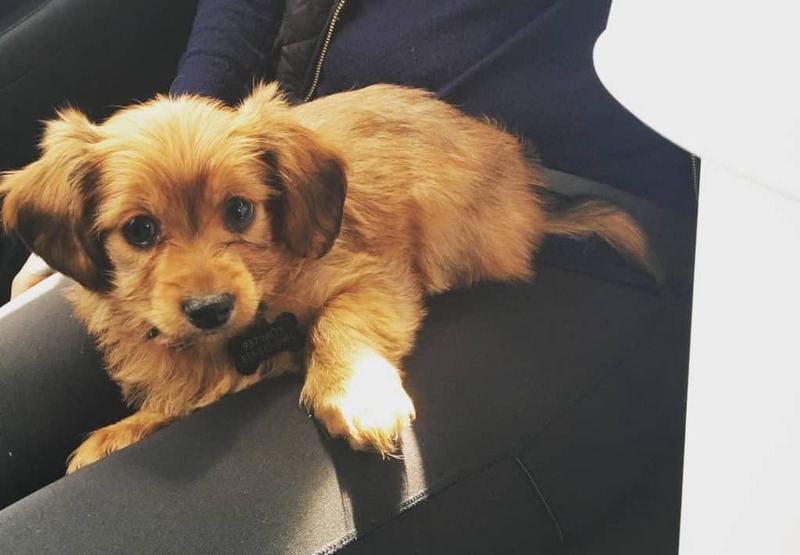 The best way to train a YorkiePoo pup is with patience and plenty of compliments. Also, be persistent and never scold or, worse, physically punish him. It will hurt his ego and he can easily withdraw to himself. Reward him with a dog snack for every command he gets right and he will always look forward to training sessions. All that energy inside the little Yorkie Doodle needs to be released in some way. Play time is the best and most available option to go with. Get him a toy to chase around or much on whenever he is in the house. In the morning or evening, take him out to go chase squirrels up trees. 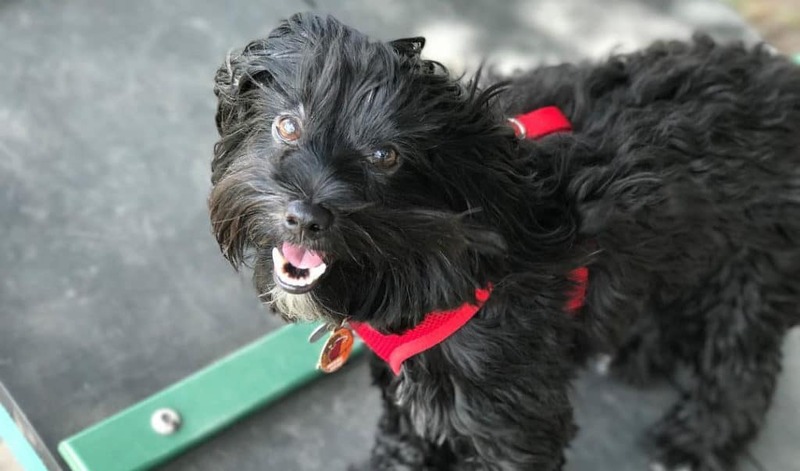 Frequent exercising also helps in the Yorkiepoo’s mental stimulation. He likes it when he is hunting and chasing after little animals. His hunting skills may not help with pest reduction, but it helps keep his mind sane and his soul happy. 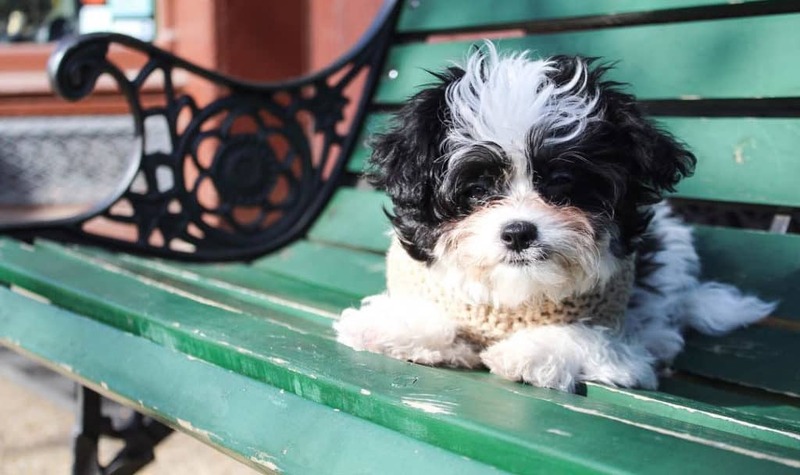 With a good diet and plenty of exercise, the Yorkie Poo will lead a very healthy life. However, there are those concerns about his health you need to be aware of. One of them is his dental health, yorkiepoos have very delicate teeth that pick up tartar fast. 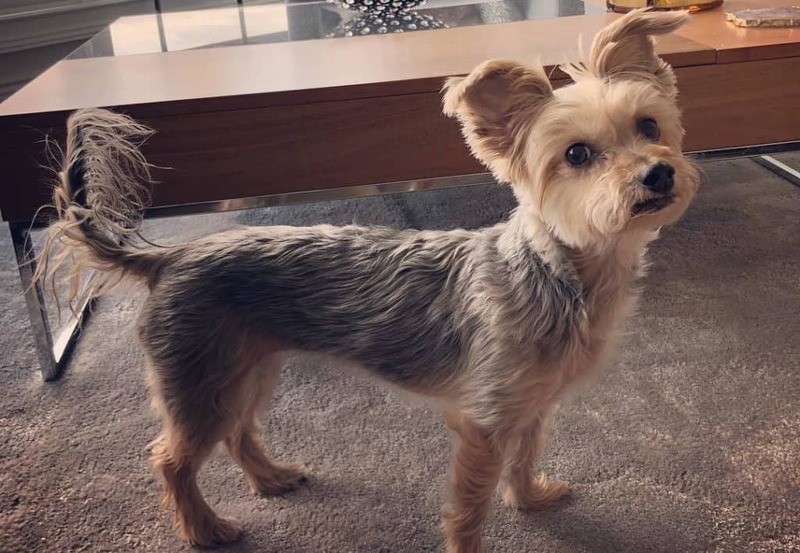 Yorkiepoos also succumb to ear infections owing to their tiny ear canals that are covered up with fur. Some pups may also develop malformations in the hind limbs which can affect their adult life. Nevertheless, there is a solution to all these. Keep your Dog on a healthy hard foods diet which is good for their teeth. You also have to introduce teeth brushing as early as when the Yorkie is a pup so they become accustomed when they are fully grown. Regular bathing and cleaning of the ears will help in preventing ear infections. Limb malformation is often corrected via surgery. Take the little guy for regular checkups at a vet clinic to ensure they have strong and healthy limb formation. The earlier the limb problem is detected, the easier it can be corrected. How much your Yorkie Poo eats depends on factors like his age, size, metabolism, and activeness. One cup of high-quality food a day should be enough to keep a pup healthy. Divide the cup into two portions to feed him in the morning and evening. During the day you can feed him bits of dog snacks to replenish his energy. It can also get really shaggy if not well groomed. Brushing his coat daily helps prevent hair tangles. Brush the hair away from the eyes and ears to prevent irritation. Trimming is also a great option to keep his eyes and ears hair-free. Nail trimming is also part of Yorkie Poo grooming. Treat him to a pedicure once or twice a month to keep the nails short and healthy. Nail trimming is best introduced when he is a pup because, just like all dogs, he can get touchy about his feet. In fact, you might think they do not shed any hair at all. This is why they make the best co-drivers and are safe around grandpa as a hypoallergenic dog. 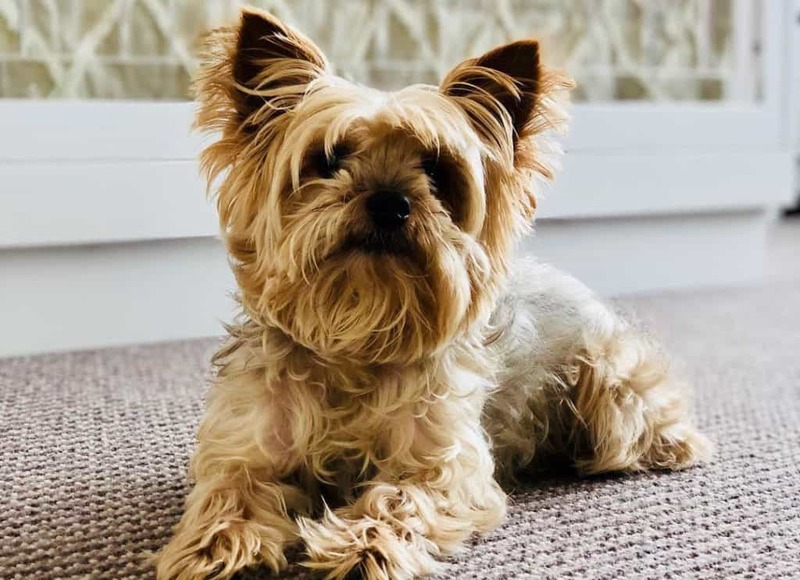 However, the Yorkie’s coat can pick up dirt and pet dander if you don’t wash and brush it regularly. 11) Yorkie Poos are sweet harmless souls to live with. They will only show mild aggression when they are not getting enough play time. He seldom barks too, which makes his a perfect roommate in your studio apartment but not a reliable guard dog. He will stay by your side for the rest of their lives. They do not mind laying on your lap all day as long as they are treated to plenty of back rubs. He will cuddle with you in bed or take you shopping with a cheerful wag. The Yorkie Poo is recommended for families with grown kids or elderly people who need the companionship. 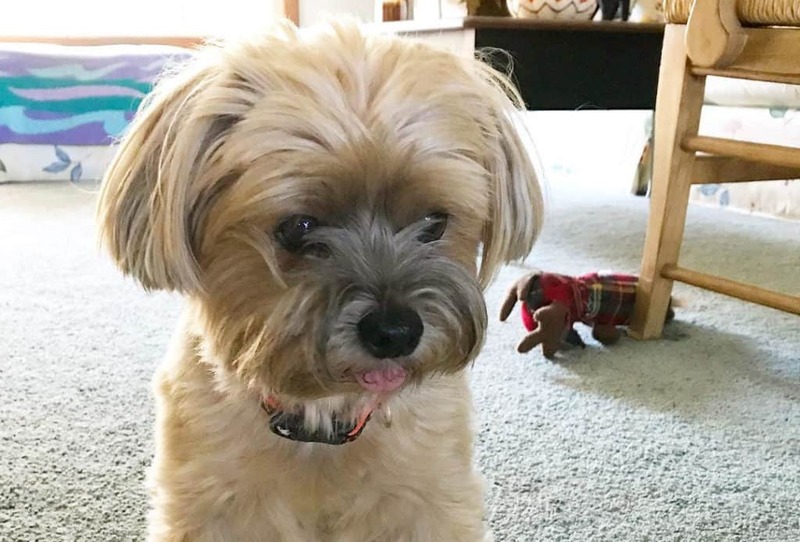 Yorkie Poo is tiny but with a big heart. He loves attention and will be a loyal companion to anyone who treats him right. With quality food, exercise and loads of back rubs, Yorkiepoo will be your friend for life.